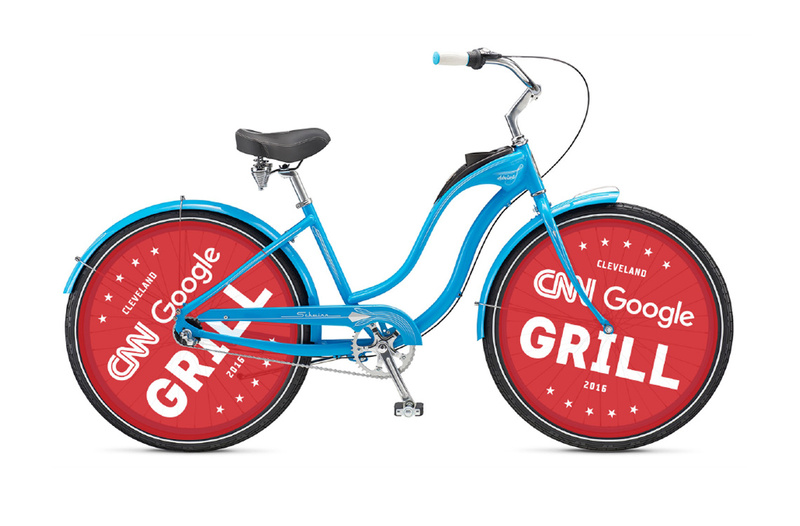 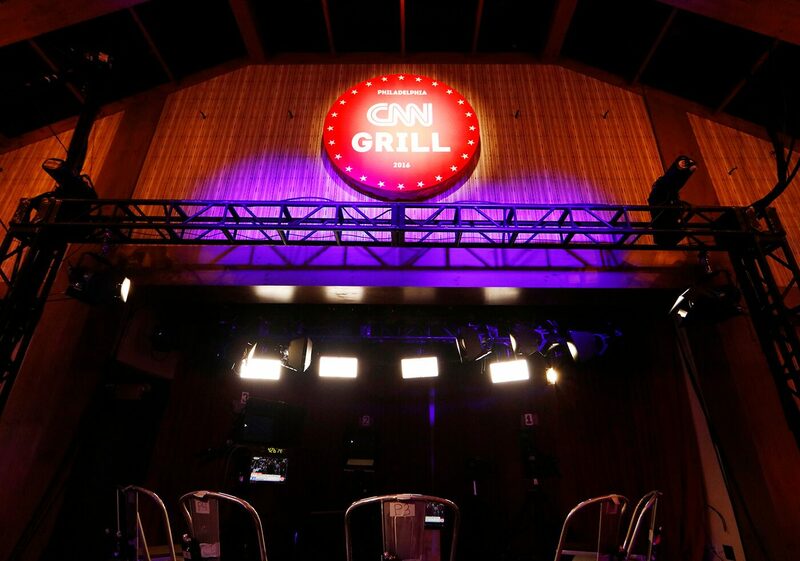 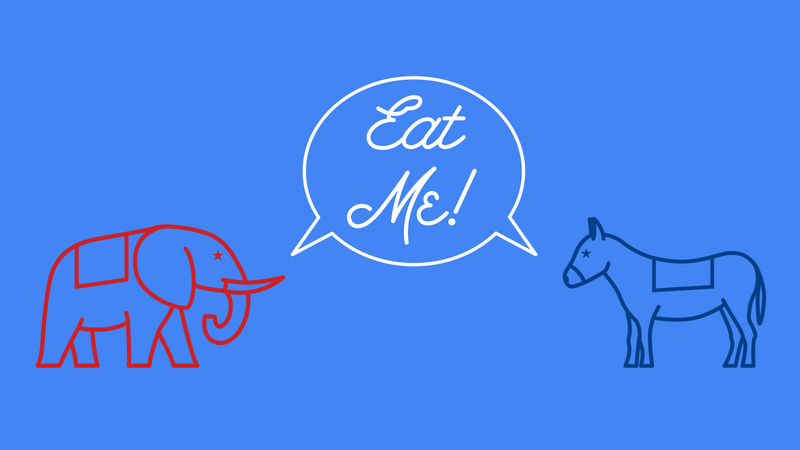 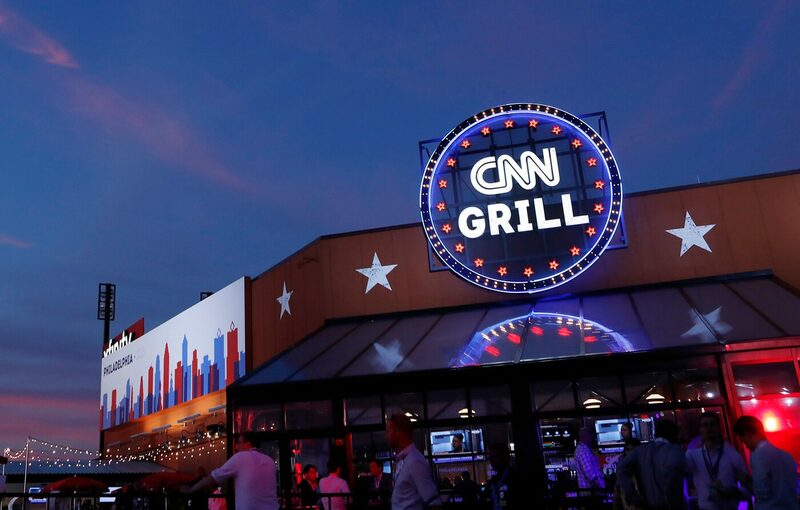 In 2016, CNN and Google teamed up to create a pop-up restaurant at the Democratic and Republican National Conventions. 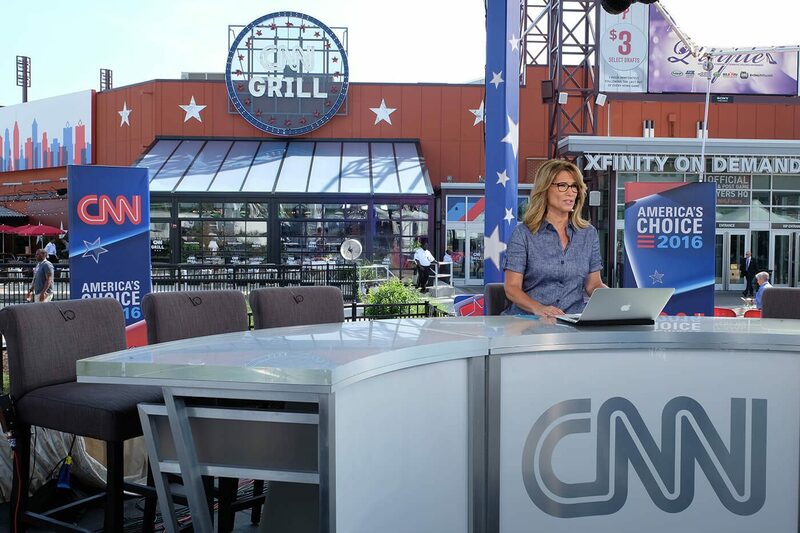 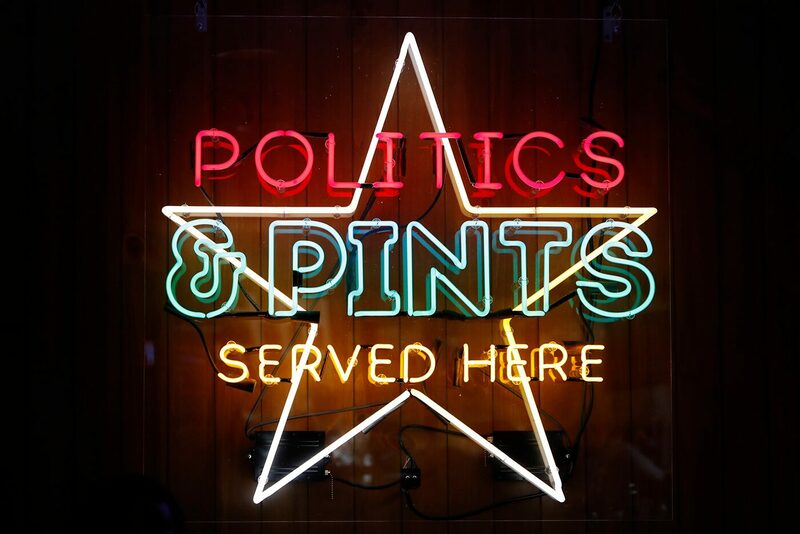 Their goal was to be a central meeting spot for live political coverage and innovative technology. 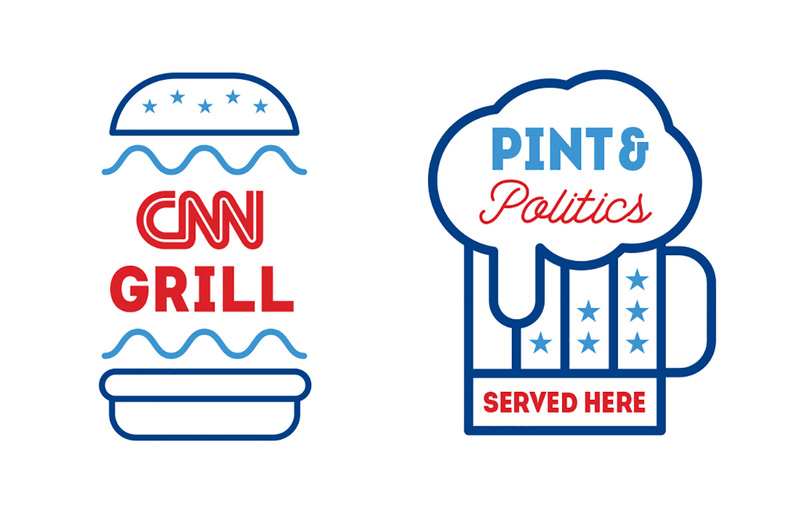 We were asked to develop the brand identity for the Grill, as well as a wide variety of assets, including signage, uniforms, beer labels, and menus. 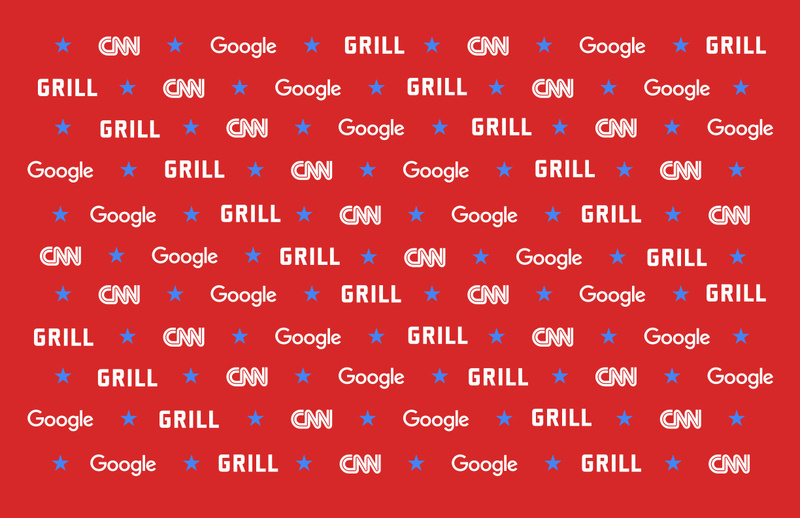 A main challenge was to present both CNN and Google in an equal and bipartisan manner throughout the experience. 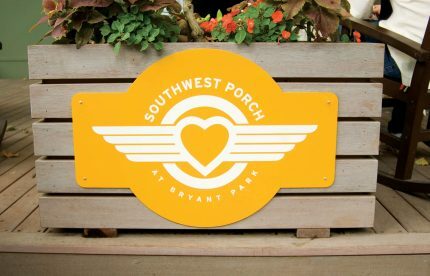 We teamed up with talented interior designer Johnathon Beck to develop various signs and wall graphics. 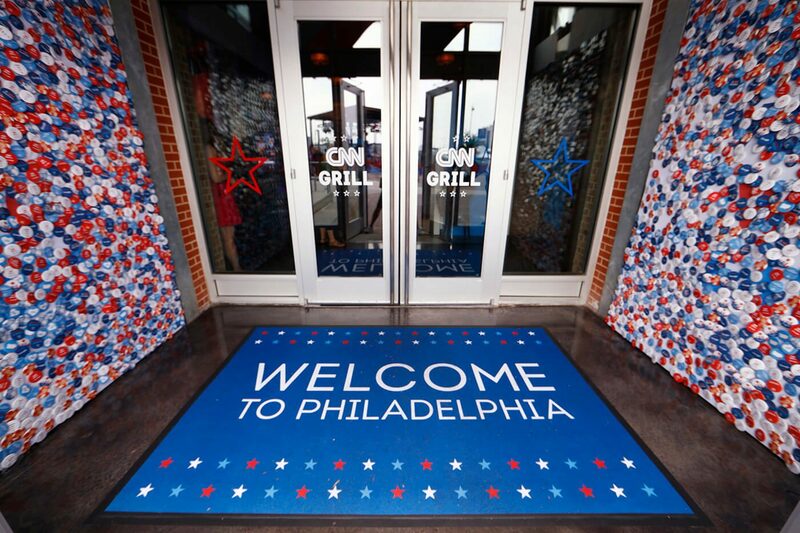 Thousands of red, white, and blue pins covered the restaurant entrance, free for the taking. 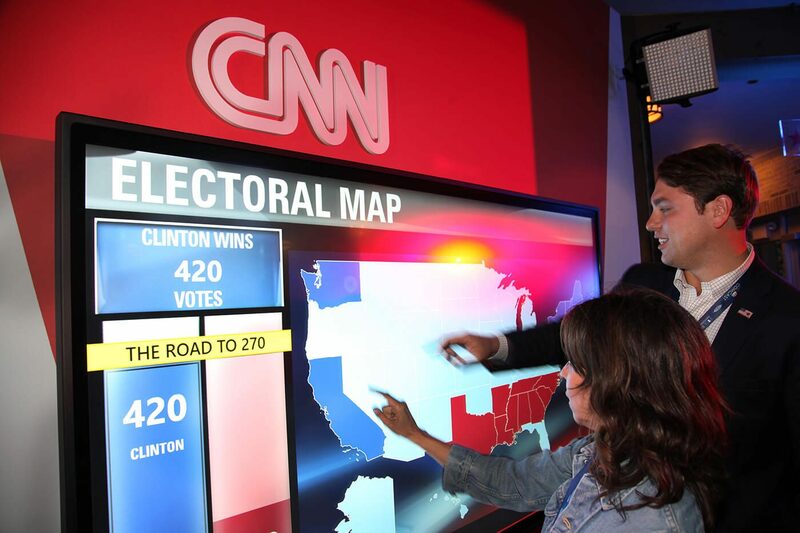 Interactive kiosks were planted throughout the space. 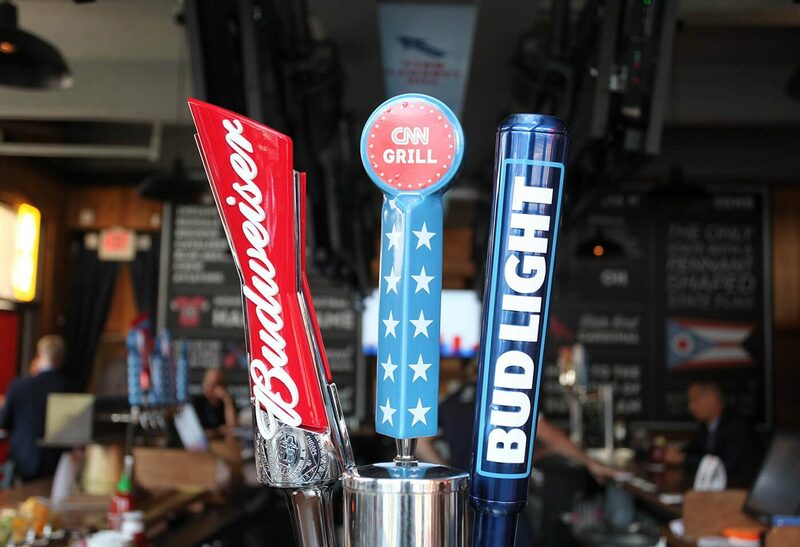 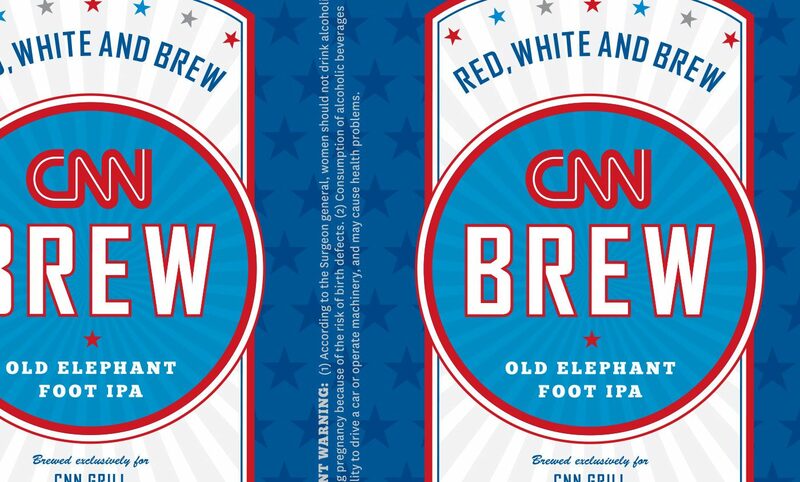 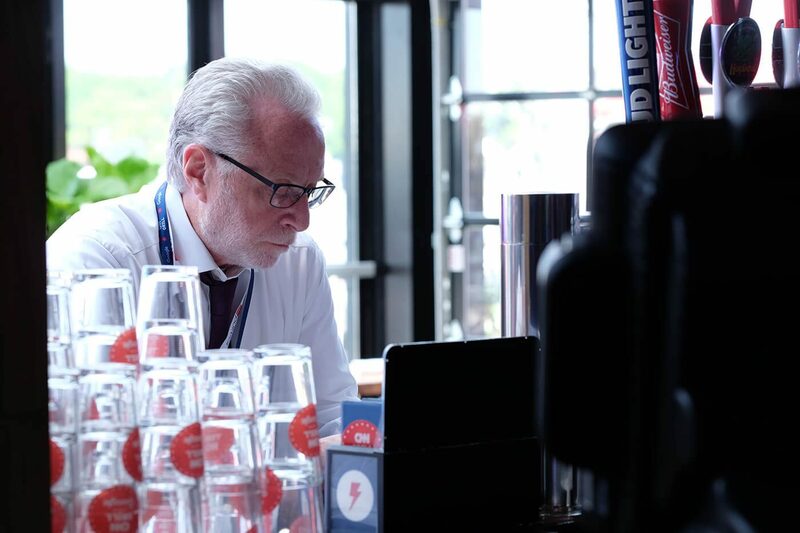 And no party would be complete without a CNN Brew. 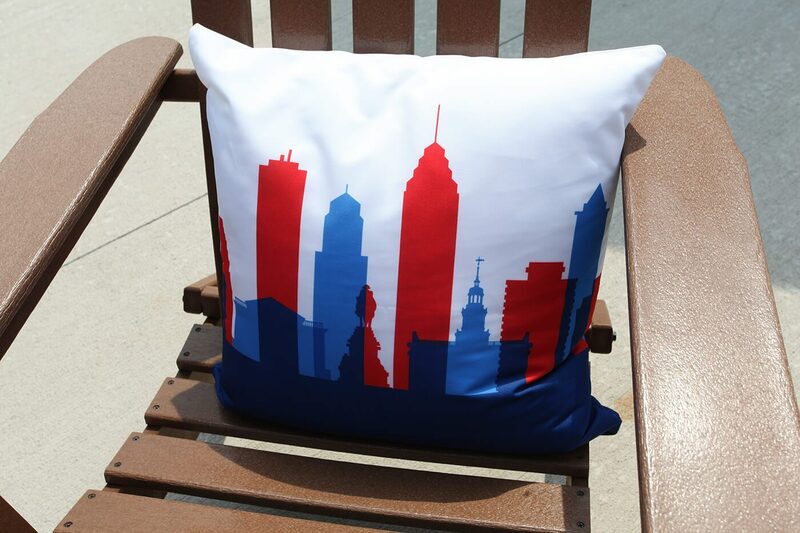 We developed a series of icons and slogans to be used on signs, merchandise, pillows, and social media. 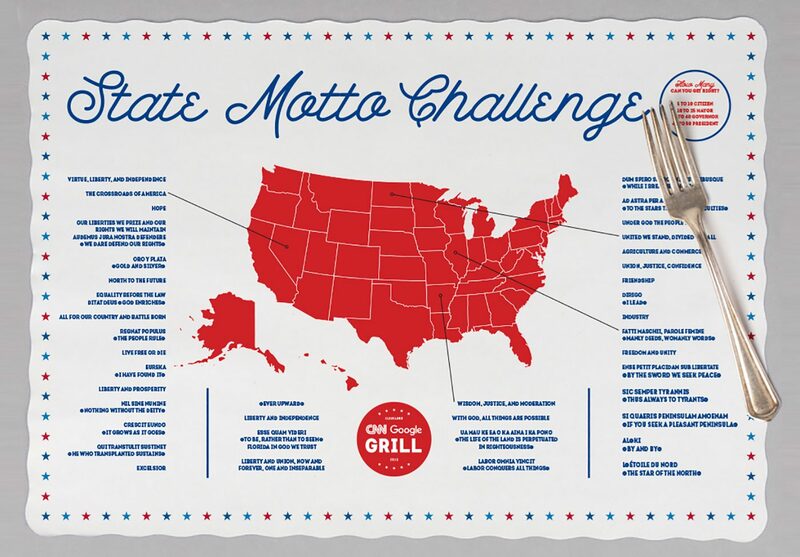 Our geographical challenge: creating a series of state-specific graphics that attendees could interact with. 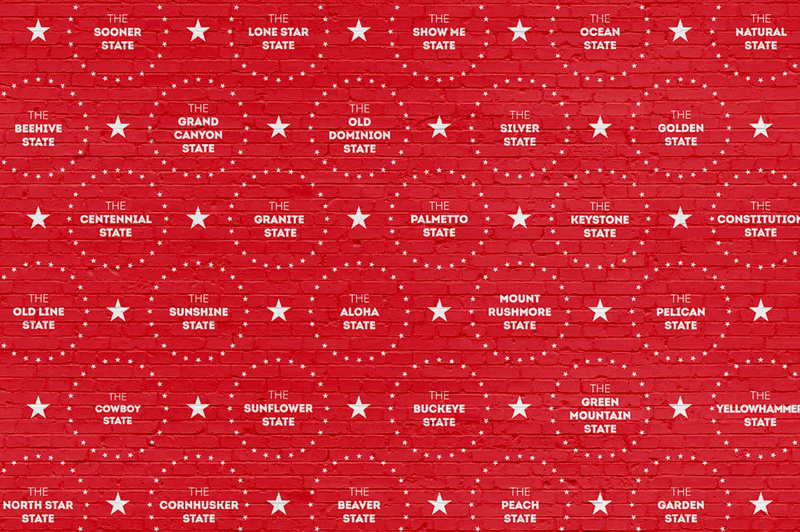 As a nod to the host cities, we illustrated billboards for both Philadelphia and Cleveland, and used the graphics in a variety of ways. 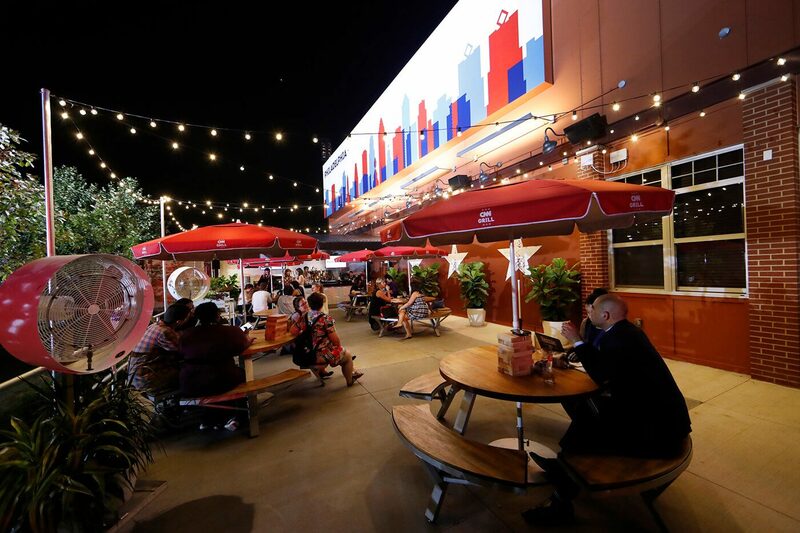 39 private events, and 10,000+ guests.